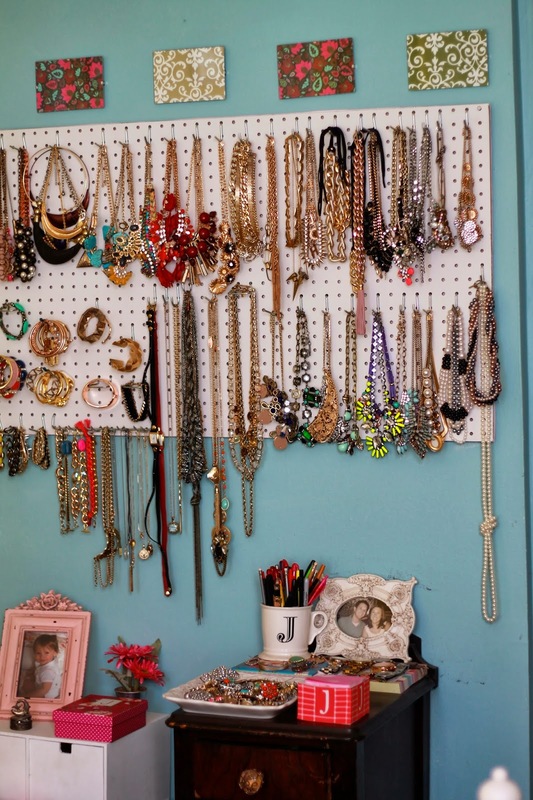 HOT PINK style: Jill of All Trades: Necklace Storage Solutions! If you have been following my blog for a while now, you have probably seen my necklace wall. A friend of mine recently did an apartment clean-out, and that inspired me to do a jewlery clean-out. If you can believe it, below was what was left over. Now don't worry, pretty much every necklace you see here was max $14, and most well under that. (thanks, Forever 21!) I believe you don't have to spend a ton on jewlery to have great pieces. So as you can see, this peg board (that you can pick up at your local Home Depot) can be cut in-store to any custom shape and arranged to your liking. You can also find different styles of hooks that will work better for different pieces. I like the long-armed ones for bracelets (bottom left) and the multi-hooked, narrow-spaced hook (bottom center) for daintier necklaces. All of these were found at the South Loop Home Depot a few years back. 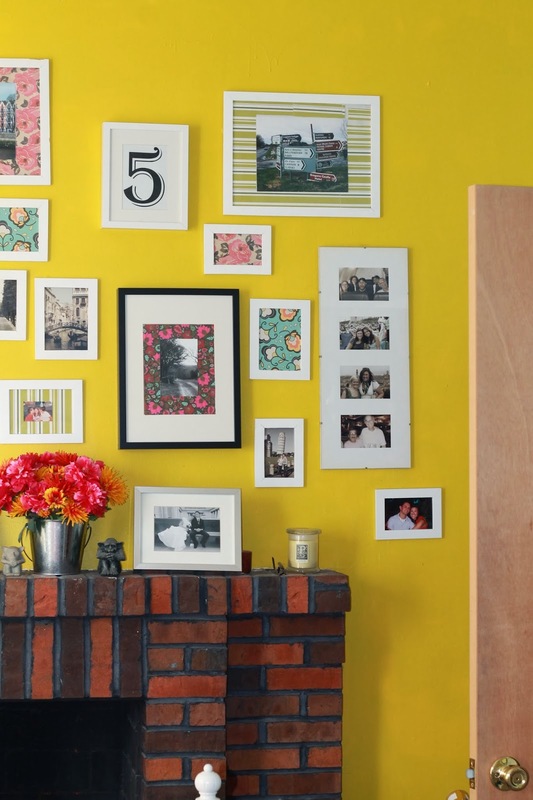 Another clever idea is to buy some good old spray paint and spray the board to the color of your choice. My walls are already busy enough, and another color may have been too much, so I kept it white. I used to store my necklaces inside a cabinet and never remembered to wear them. Now that they are out in the open, they're pretty hard to forget about. And the best part is, since they are all tucked behind our bedroom door they are almost in a room of their own. When the door is open you don't even know what is back there (see bottom picture). Oh, did you also notice I'm hiding a sea of shoes back there too? Pretty convinent corner, huh? If you are having jewlery overload storage problems I highly reccomend a trip over to the hardware store to get one of these peg boards. It's a cheap, easy, organized and pretty way to make the most of your jewlery collection. And if you want me to come right over and make this happen in your house, email Jill of All Trades Chicago. I can even supply the necklaces too! Thanks. It's taken years of collecting to gather! Wow, this has to be the most impressive jewelry collection I've seen! And I totally love your storage solution! Well thanks! Thats quite a compliment! Color me impressed! Love the gems and how you organize them! I am the most organized hoarder you will ever meet! I neeeeed to do something like this! I have way too many necklaces all over the place...although not as many as you! Jealous of this fab collection!